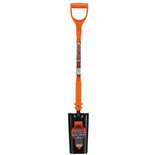 A handy small pick axe for use where a full sized pick is not suitable, ideal for working in confined spaces and for underpinning and trench work among various other applications. 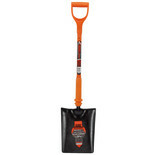 This Draper Solid Forged Contractors Taper Mouth Shovel has an all-steel tubular shaft with a solid forged socket and a Y-dee shaped handle. The Draper Solid Forged Contractors Square Mouth Shovel has an all-steel tubular shaft with a solid forged socket. 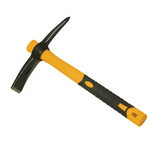 There is a Y-dee shaped handle for maximum comfort. 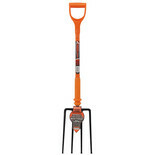 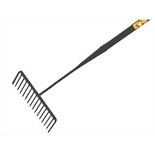 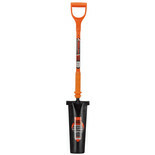 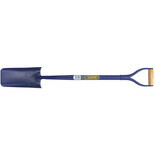 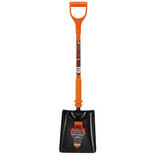 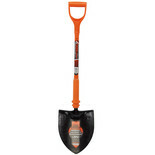 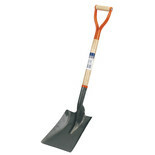 This solid, forged grafting shovel from Draper has an all-steel tubular shaft with a robust, solid forged socket. 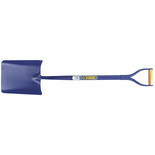 The Y-Dee shaped handle provides maximum comfort during extended use. 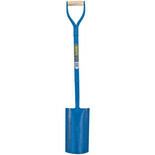 This Builder's Square Mouth Shovel from Draper has a pressed steel blade with a varnished hardwood shaft and Y-dee shaped handle for maximum comfort. The Draper Solid Forged Contractors Cable Laying Shovel has an all-steel tubular shaft with a solid forged socket. 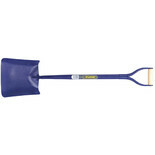 There is a Y-dee shaped handle for maximum comfort.